Public sector comms in Northern Ireland will need to adopt a collaborative approach to campaigns, working with organisations with similar objectives as teams learn to be more effective with fewer resources, according to a new report. Every opportunity to work across public sector organisations should be taken "where it is practicable and cost-effective to do so", according to the ‘Modern Public Sector Communications in Northern Ireland’ report, which was launched last week. The authors, a steering group within the Northern Ireland Public Sector Communications Forum (NIPSCF), canvassed the opinion of their colleagues from across the sector to arrive at core principles and objectives for how their comms teams should operate. To aid collaboration, the NIPSCF said in its report that it was developing a ‘common ground register’ of public sector comms operatives to help them to link up with fellow members who have carried out a similar campaign in the past, or who have similar audiences and objectives. The authors said: "As all public sector organisations contribute to improving the lives of people and communities in Northern Ireland, we have identified that they are unified in a common goal around health and wellbeing." Collaboration and sharing best practice were echoed in two other key themes running through the report: citizen focus and leadership. The NIPSCF hopes members will learn from each other about how their comms can deliver better insights into audiences and then put people at the heart of their campaigns. They also want members to help identify best practice in managing comms teams by working with leaders outside the profession. The report said there were six core skills which all modern public sector comms teams should have at their disposal: audience insight, media handling, campaigns, creative content, internal comms and evaluation. Of creative content, the authors said there had "never been a better time for the public sector to talk directly to their target audience, using a range of communication channels", and that video, infographics and animations could be produced in-house at low cost, with the aim of telling stories that resonate with their audiences. The report stated that public sector comms teams should try to develop four core functions in their teams, including strategic comms, internal comms and stakeholder engagement as well as the capacity to handle media, digital and campaigns. It also advised that teams should adopt a 'digital first' mindset, to replace reliance on traditional media, and keep pace with technological advances in this area. The NIPSCF sought the advice of the Government Communications Service in compiling the report. 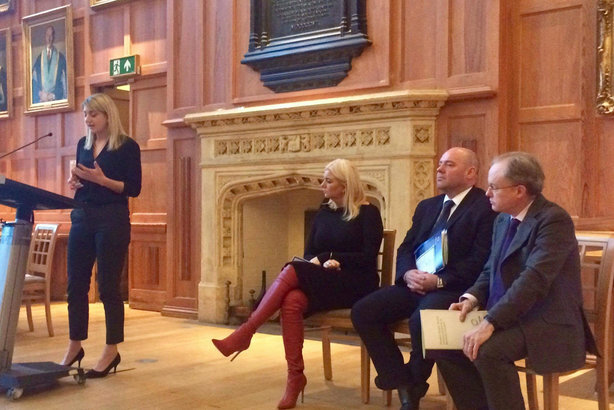 GCS executive director Alex Aiken and Nicky Jackson, deputy head of local campaigns at the Cabinet Office, attended the launch event on Wednesday last week at Queen’s University Belfast, where they spoke to the audience. Commenting on the report, Michelle Canning, a member of the NIPSCF steering committee, said: "Our work is increasingly demanding, resources are limited yet expectations continue to grow that we do and achieve more and central to our work is placing the citizen at the heart of our communications. "It is incumbent on us to ensure that we use the public purse more effectively and efficiently and in that context sharing and collaborating is necessary."